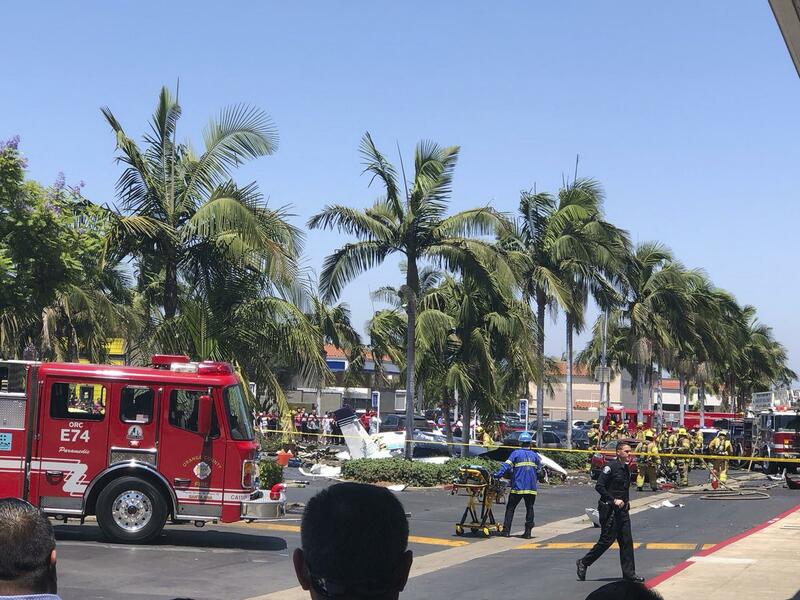 SANTA ANA, Calif. – Five people on board a small airplane were killed but nobody on the ground was hurt when the twin-engine Cessna crashed Sunday in a Southern California parking lot, authorities said. The pilot of the Cessna 414 declared an emergency before crashing about a mile from John Wayne Airport, Federal Aviation Administration spokeswoman Arlene Salac said. Published: Aug. 5, 2018, 3:01 p.m.